Why Sunglasses? What Sunglasses? Anyone Care? Many people think sunglasses are fashion, great to look good in, easy to put on top of your head, almost disposable. That is if they are worn at all. This is a shame, almost a tragedy, because they should be so much more than that. I was sitting at Northampton International Raceway watching the Brisca F1 European Championship when this thought crossed my mind. The sun was shining brightly, but there was a breeze so it didn’t feel too hot. It is so easy to forget the power of the sun in this situation, particularly when you are enthralled by something. In Derbyshire we are all very aware of the risks that the sun can pose. Colin Bloomfield’s memory looms large, and the campaign to be Sun Safe is so important – it will save lives. But, and this is the big but, your eyes and the area around the eyes need protecting as well. It is known that Ultraviolet light damages the eyes, causing cataracts, but what about this sensitive skin around the eye? This needs protecting too. Wearing a good, sufficiently large sunglass gives this vulnerable area of skin the protection that it needs. When most people think of sunglasses, the first thing that comes to mind is probably fashionable brands and stylish celebrities. 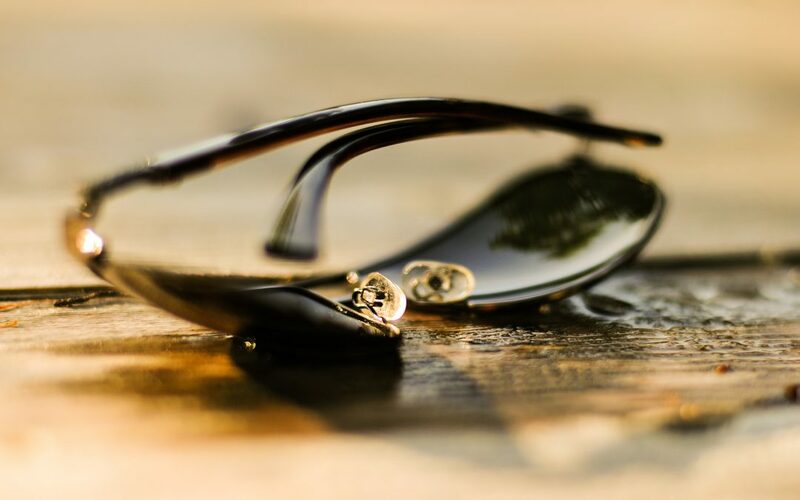 But whilst the right pair of shades can make you look effortlessly cool, the most important thing to remember about your sunglasses is the protection they provide for your eyes when outside in bright weather. Light from the sun contains three different types of harmful radiation, known as UVA, UVB and UVC rays. Whilst UVC cannot penetrate the earth’s atmosphere, UVA and UVB make it all the way to the earth’s surface and are responsible for the majority of skin damage, from sunburn to skin cancer. Most people are now aware that they need to protect their skin from exposure to the sun during the summer months, but many are still oblivious to the effect of UVA and UVB on their ocular health. These dangerous UV rays can do just as much damage to your eyes as they can to your skin, leading to a number of eye problems. These include cataracts (damage to the lens, often leading to clouded vision), macular degeneration (damage to the back of your eye, which can result in blind spots in your vision), and photokeratitis (sunburn of the cornea, which is painful and can lead to infection). It’s essential that you wear sunglasses with UV protection whenever you’re out and about in the sun. `Cheap and cheerful’ shades not purchased from an optician, and vintage sunglasses from yesteryear, are unlikely to protect your eyes from UV rays. Even though these types of sunglasses look good, they should not be worn in strong sunlight as your eyes are still exposed to the sun’s rays. With all of this in mind, we make sure that every sunglass that we sell at Mark Davis Optician gives the protection that you deserve. We have a wide range of designer sunglasses from desirable brands such as Dior, sporty sun protection from Bolle, a great selection of superb sunglasses from Maui Jim and Serengeti as well as more affordable frames that are simple yet stylish.